Where’s Wallis? 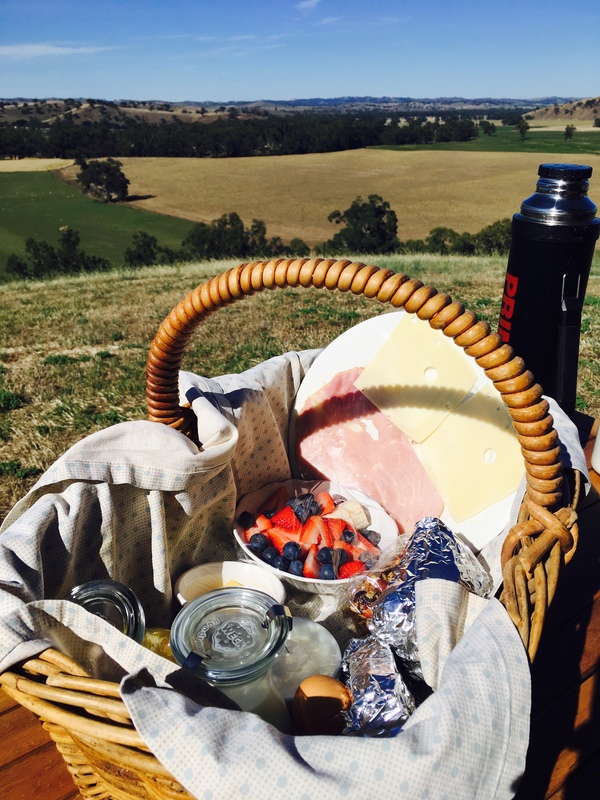 Glamping in Gundagai – Where's Wallis? 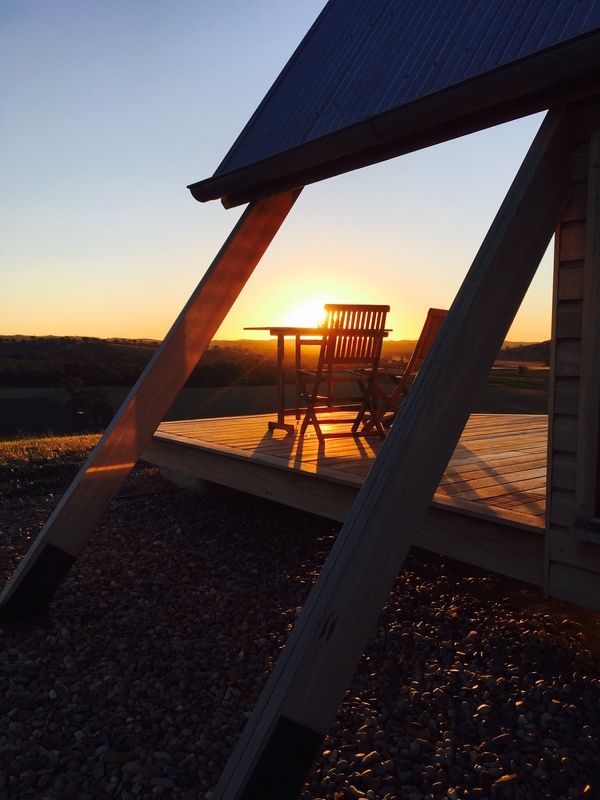 A desire to escape and switch off from our busy lives, whilst retaining the comforts and luxuries of home has led to a meteoric rise in the popularity of ‘glamping’. 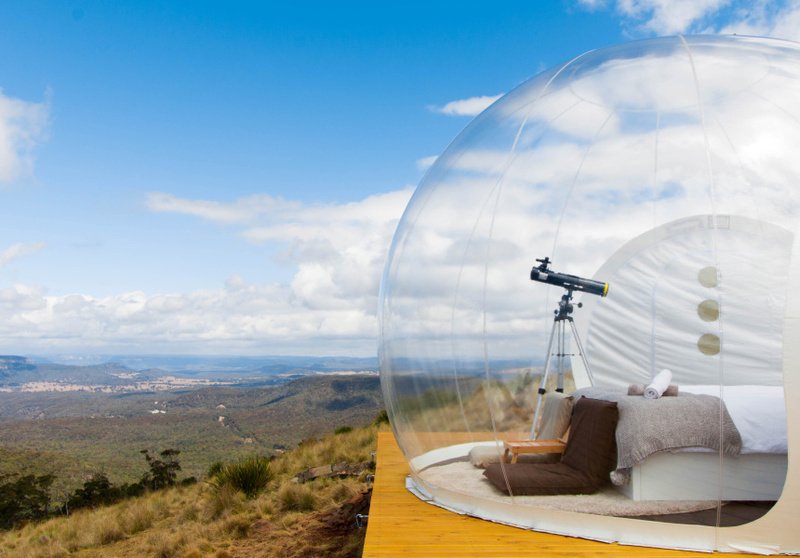 Bubbletents: transparent tents set over the world’s second largest canyon at Capertee, 3hrs drive from Sydney. 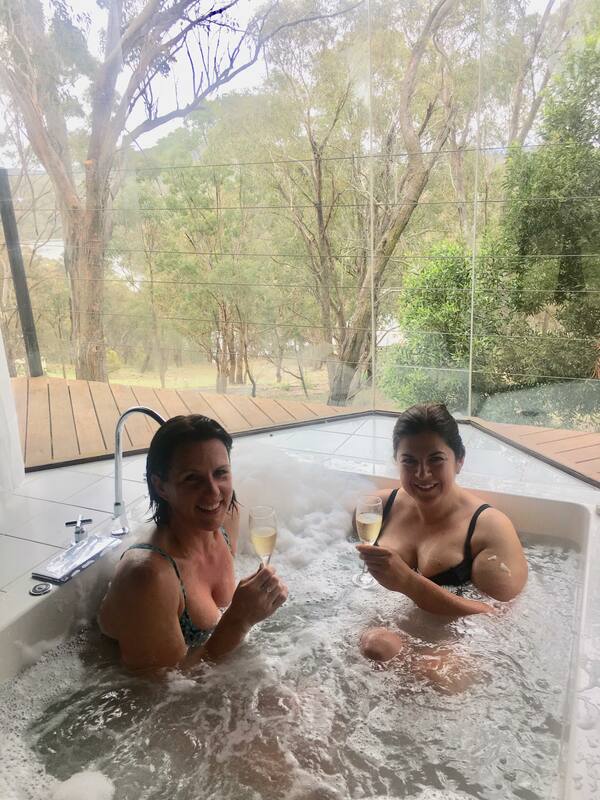 Tandara: luxury glamping in the Lane Cove National Park, only 20 minutes drive from Sydney CBD. Cockatoo Island: an escape without even leaving Sydney Harbour, 20 minute ferry from Darling Harbour. 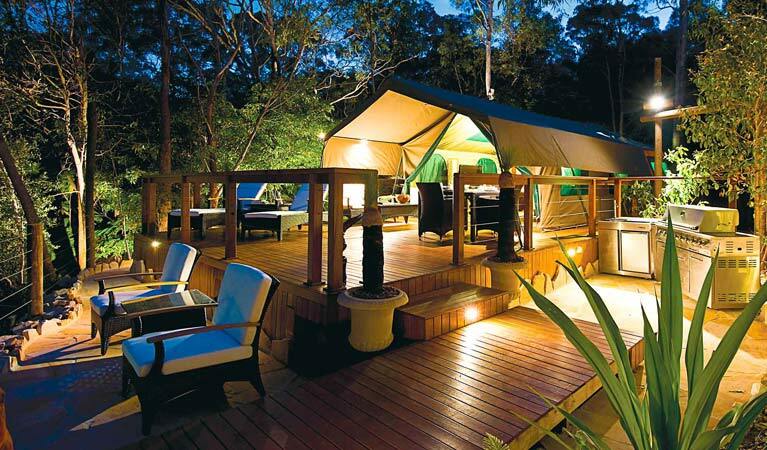 Paperbark Camp, Jervis Bay: total luxury in the bush with Kangaroos and Kookaburras as your alarm clock. Blog post here. 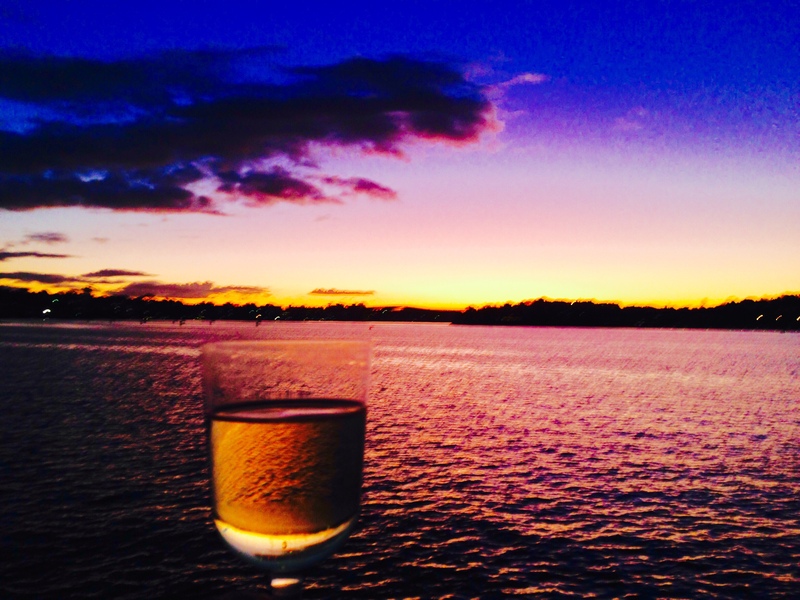 Tanja Lagoon Camp: one for a long weekend escape on the south coast. 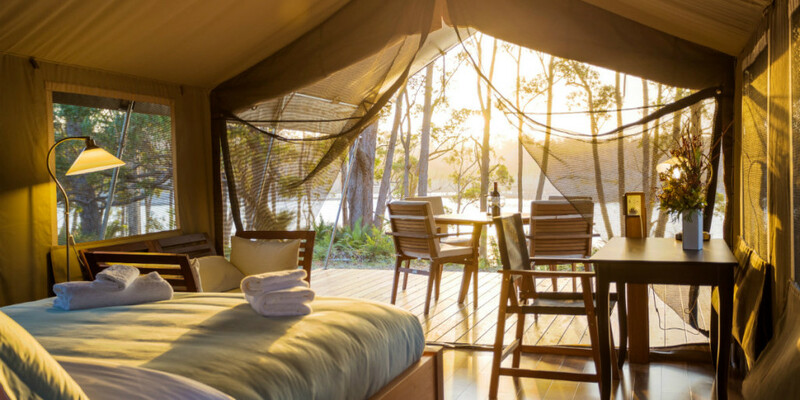 Gorgeous glamping tents surrounded by National Park and lagoon views. 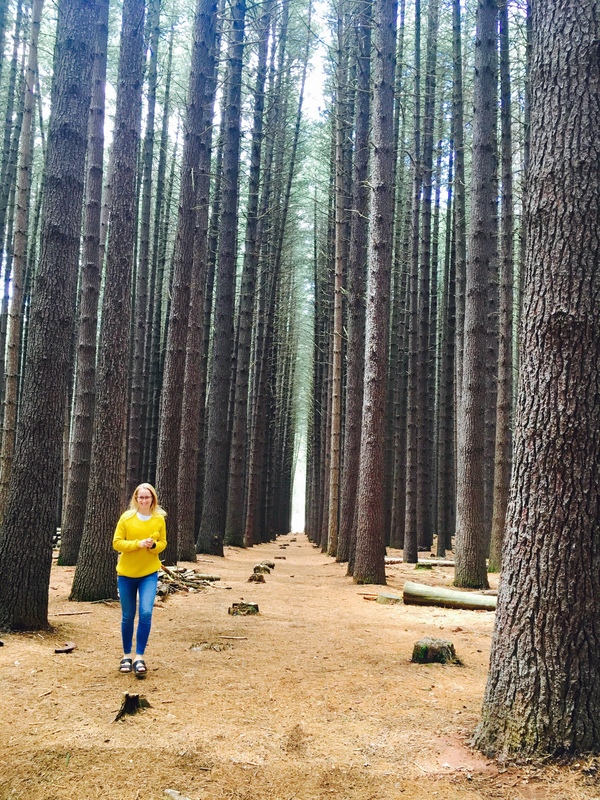 5hrs drive from Sydney. 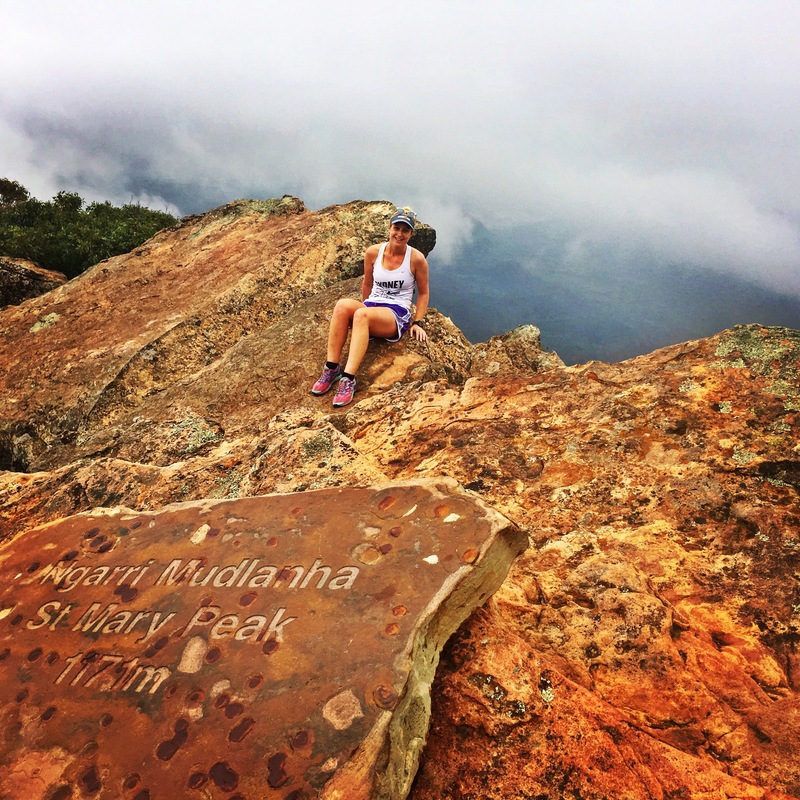 Halls Gap Lakeside, The Grampians, VIC: Halls Gap is the gateway to the Grampians, an absolutely stunning national park 3 hours from Melbourne. 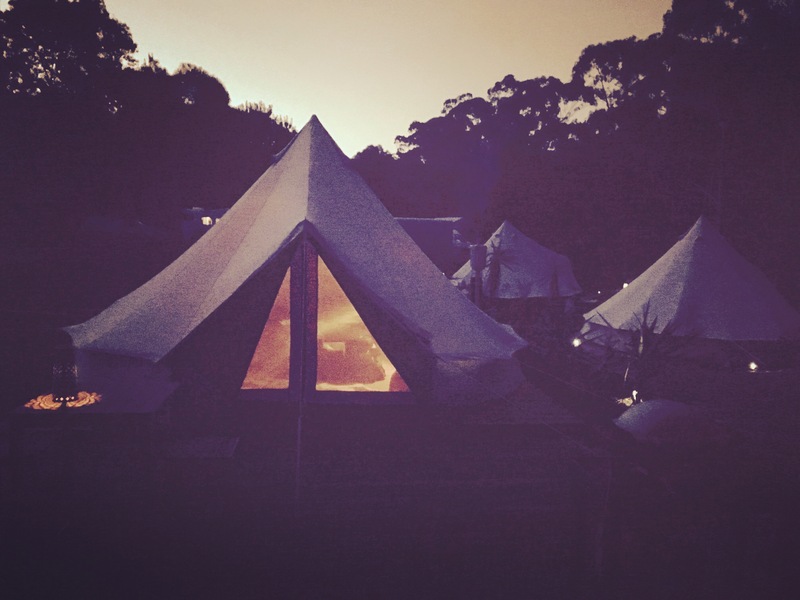 Lakeside Holiday Park has cosy bell tents equipped with all you need for a weekend away. Blog post here. Ikara Safari Camp, Flinders Ranges, SA: Set in the heart of Flinders Ranges National Park, SA you couldn’t get a more central spot. 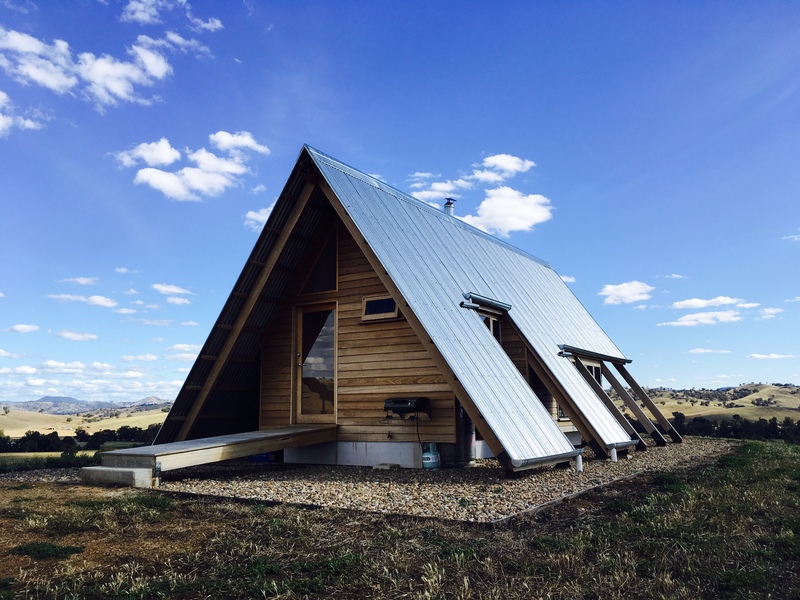 Use these gorgeous safari tents as a base for your adventures…be that 4WD-ing, hiking St Mary’s peak, or a scenic flight to Lake Eyre! Head there in Spring to see wildflowers. Blog post here. 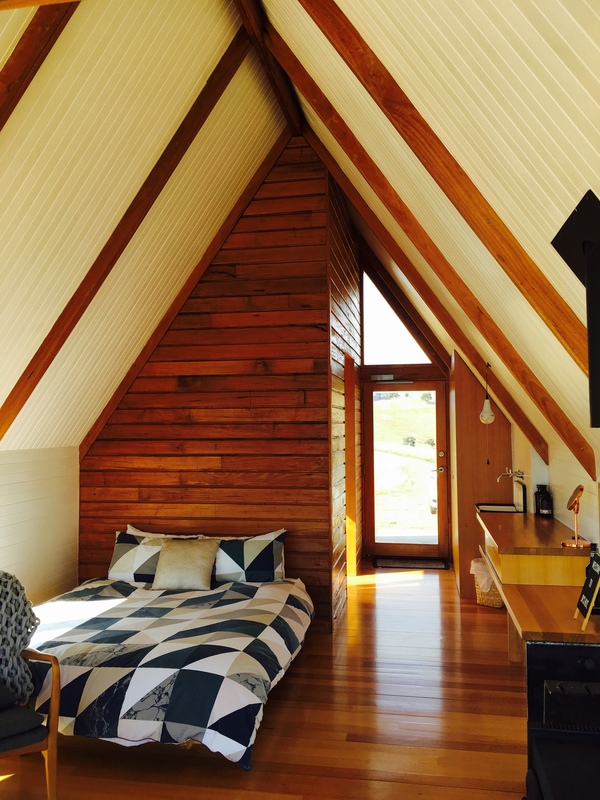 Explore Life Glamping, Wanaka, NZ: venturing across the pond for this one. 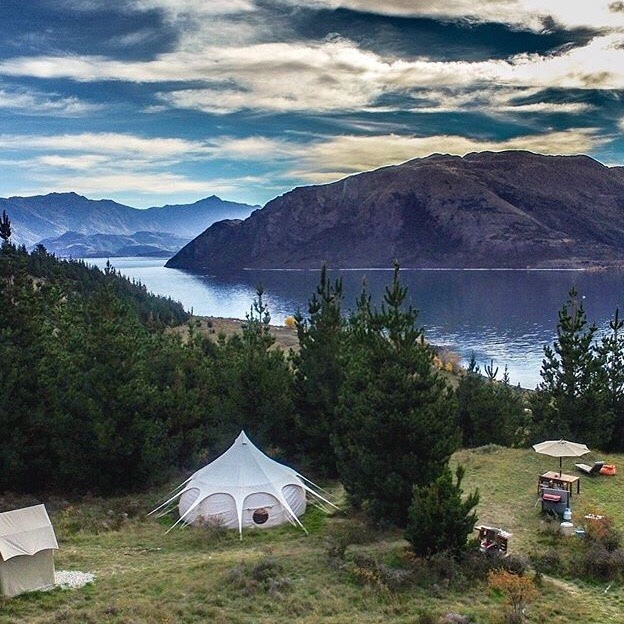 Explore Life Glamping set up luxury bell tents overlooking Lake Wanaka during the summer months. I didn’t get it booked in time for our New Years 2018 visit but it’s high on the ‘to visit’ wish list. 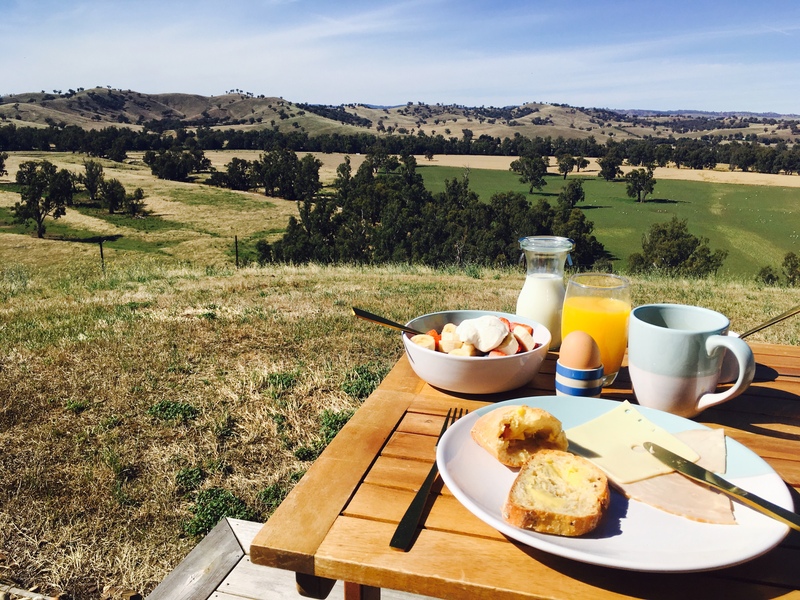 Kimo Estate, Gundagai, NSW: Kimo Estate is set on peaceful farmland, 10ks out of Gundagai. 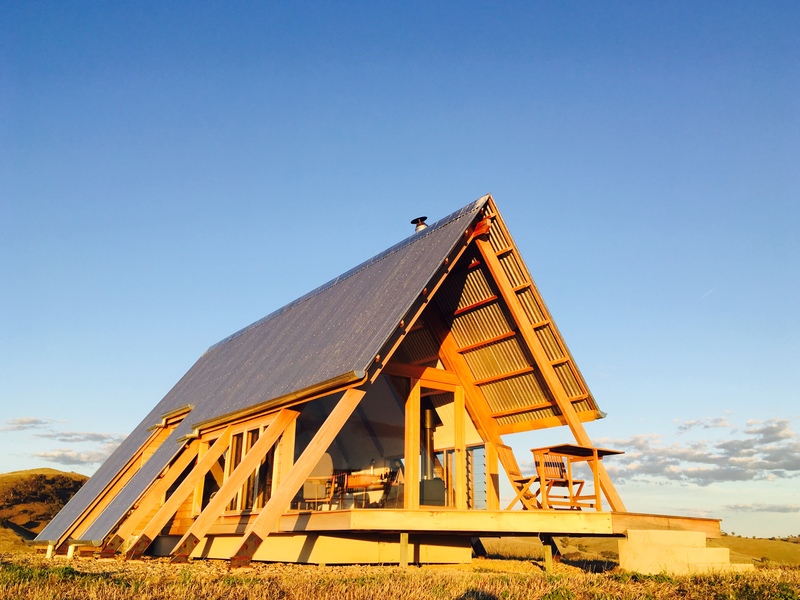 The Estate has cottage accommodation and the pièce de résistance is JR’s Hut, a gorgeous Ecohut high on a hilltop overlooking the river valley below. 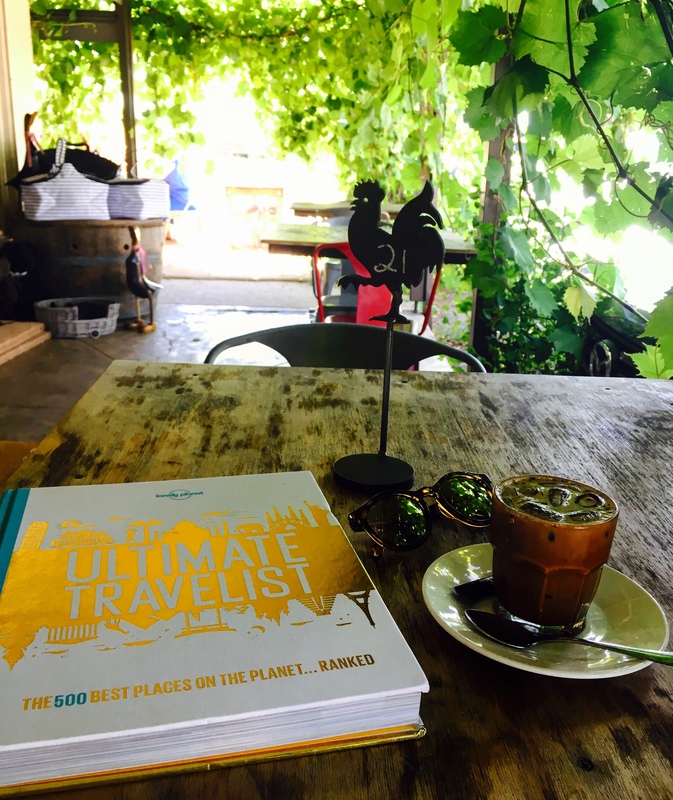 That’s the list for now, I’m sure there’s plenty to add to it…drop a comment at the bottom if you have a favourite glamping spot!! 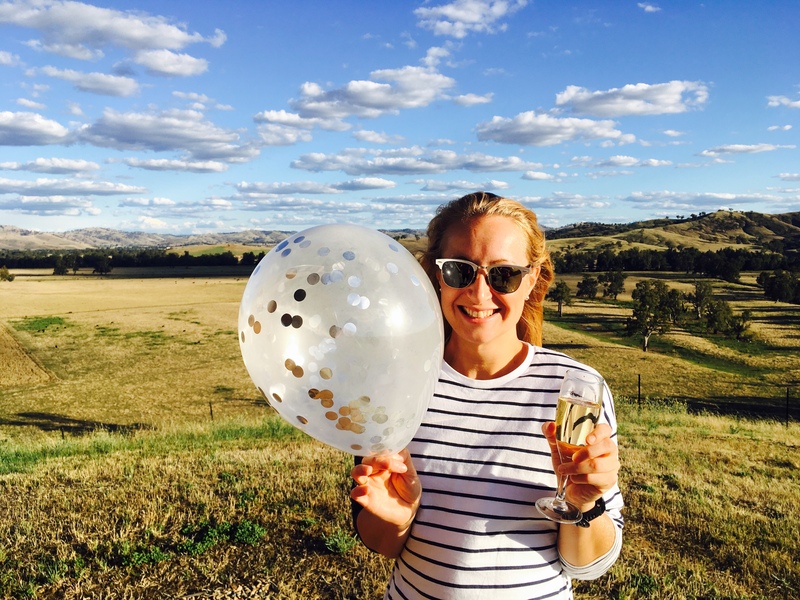 Having indulged in a stay at Paperbark Camp in December 2016, Kimo Estate is where I chose to spend my birthday last weekend. We took the Friday off work and made it a 3 day weekend. 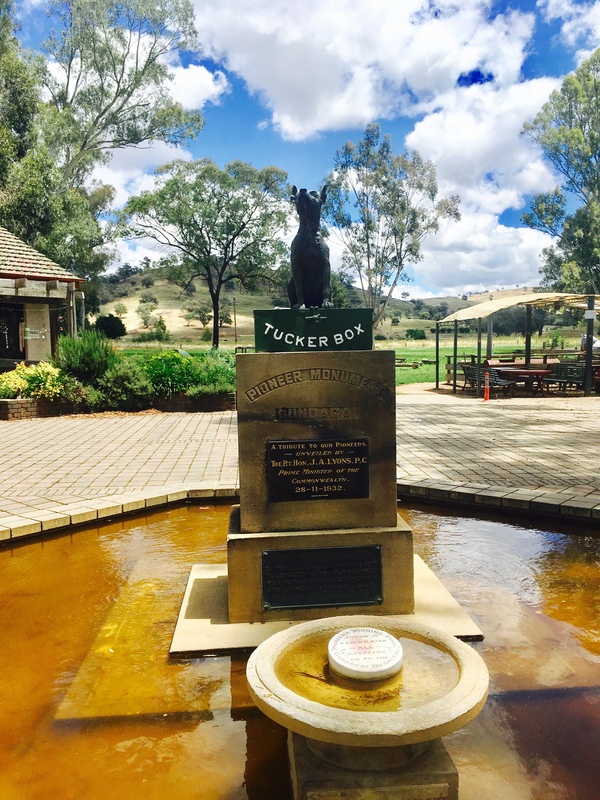 We stopped to see the (incredibly underwhelming) ‘Dog on a Tuckerbox’ memorial on the approach to Gundagai. I’d envisaged one of the giant Australian roadside ‘things’ i.e. Giant Shrimp, Giant Sheep, Giant Pineapple etc but it was all of 3 ft tall. Now size isn’t everything but there wasn’t even a description of why it was famous. 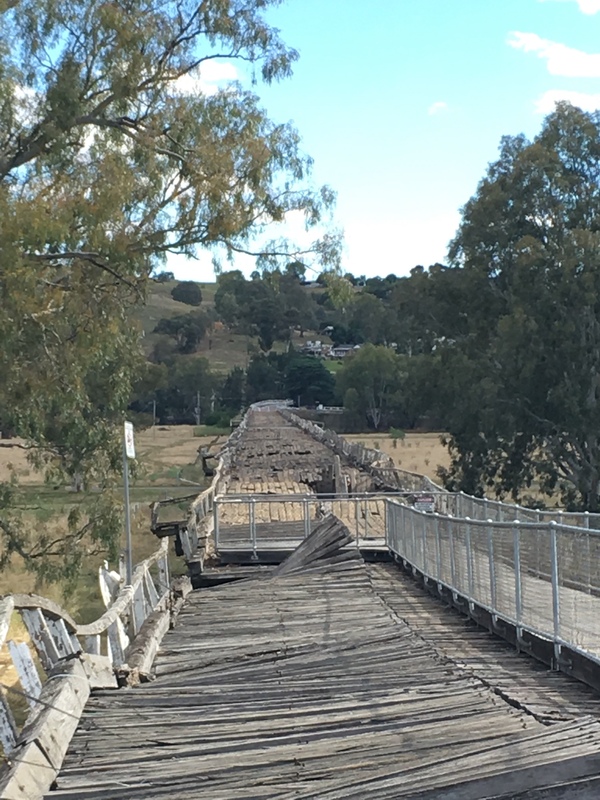 What we did find in Gundagai which was pretty cool was this old bridge. It was built in 1867 and is now closed off for safety, it’s almost 1km long. It’s called Prince Alfred Bridge and named after Queen Victoria’s son, who was the first British Royal to visit Australia back in 1868 when he was just 23. We also have the Prince Alfred Pool near us in Sydney. The bridge passes over the Murrumbidgee River Flats where Gundagai town was originally built. After devastating 5m floods in the early 1850s the town was moved to its current location. 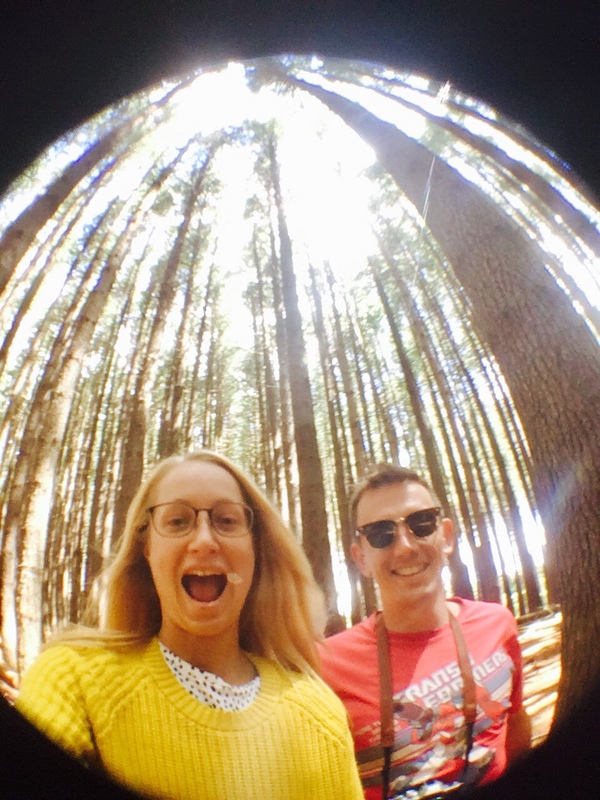 We then drove to Bago State Forest where we did the Sugar Pine Walk followed by a picnic at the Pilot Hill Arboretum. 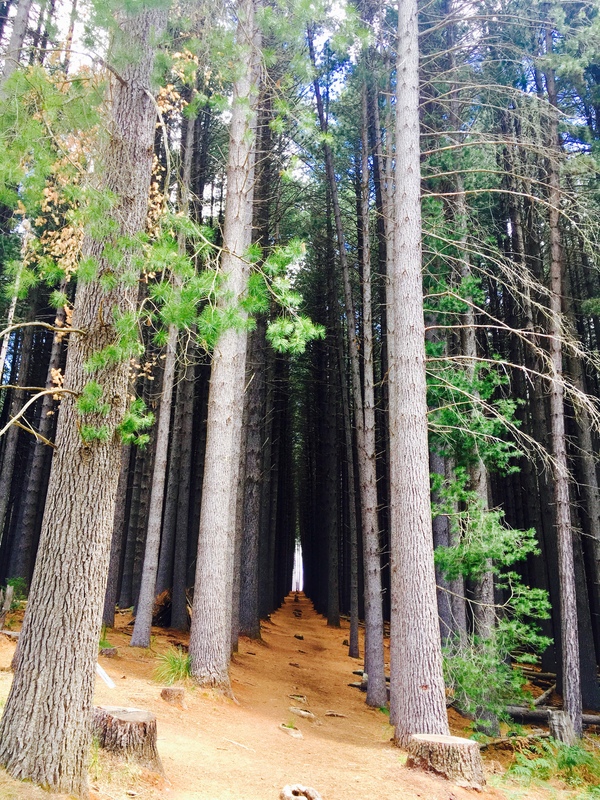 To get there you need to drive to Kopsens Road, Laurel Hill and there are signs for the Sugar Pine Walk. 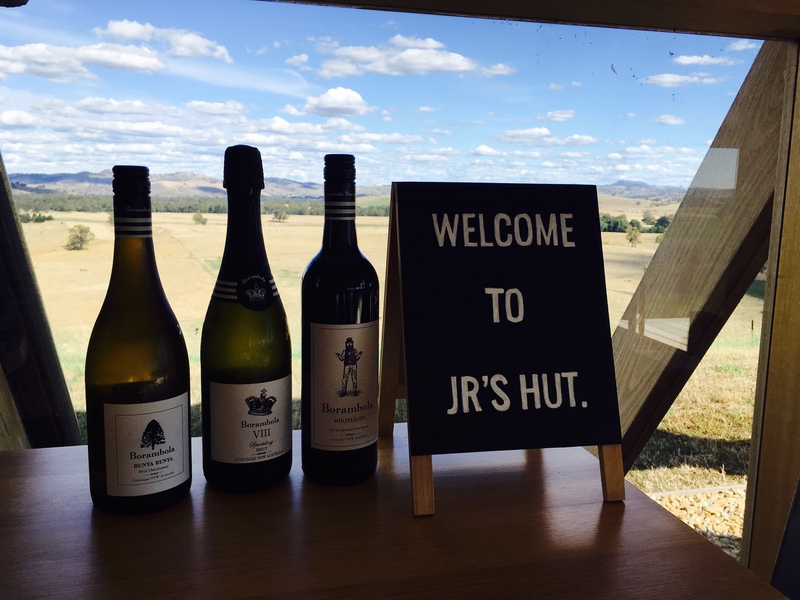 We arrived at JR’s hut at Kimo (pronounced Ky-mo) Estate in the afternoon. We were wowed as we drove up the hill to the hut, the pictures on the website just can’t do justice to the surroundings. 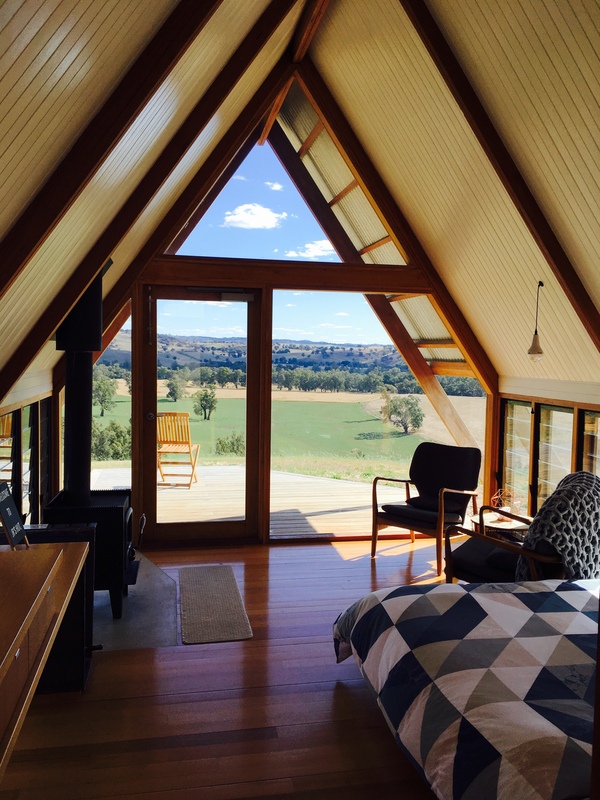 The hut is timber with lots of huge glass windows and you have 360 degree views over the landscape. There was the option to pre-order a dinner pack to the hut which you could cook on the BBQ but we’d brought some food so after presents and bubbles in the sunshine we fired up the BBQ and set up to eat out on the deck. 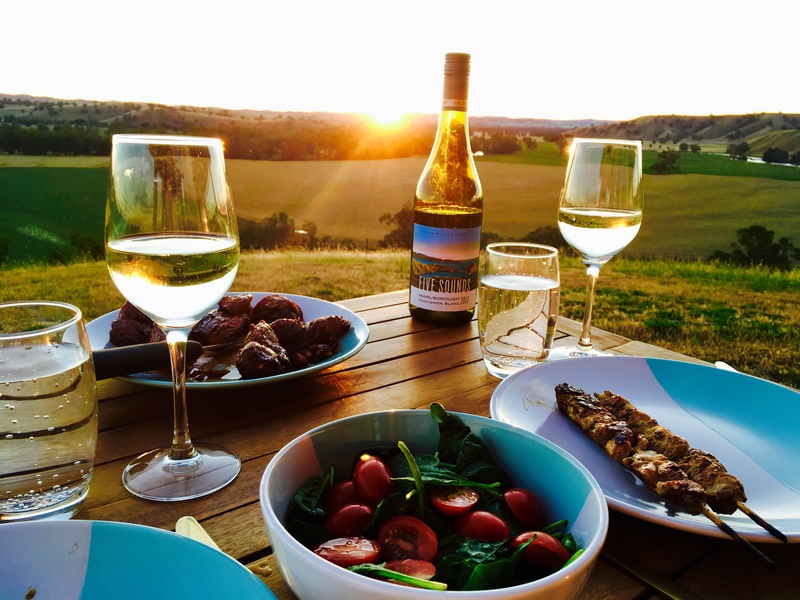 Kangaroo steak, satay skewers, salad, and sunset. Perfect. Whether it from was the long day, the excitement, the peacefulness of the hut or the wine with dinner, I had a fabulous sleep! I woke as the sun was coming up and it was fabulous to lie in bed and have views out to the valley on all sides. Breakfast was included in the stay and it was fantastic. Emelia who owns and manages Kimo Estate with her partner came to deliver it and we had a lovely chat. They are planning to build some more Eco Huts on the land. At first I worried that might ruin the serenity, however when Emelia pointed to the locations where they were thinking of building and they looked about a km away I realised there was no chance they’d ruin the magic. Next trip is a New Zealand South Island adventure in a couple of weeks time!